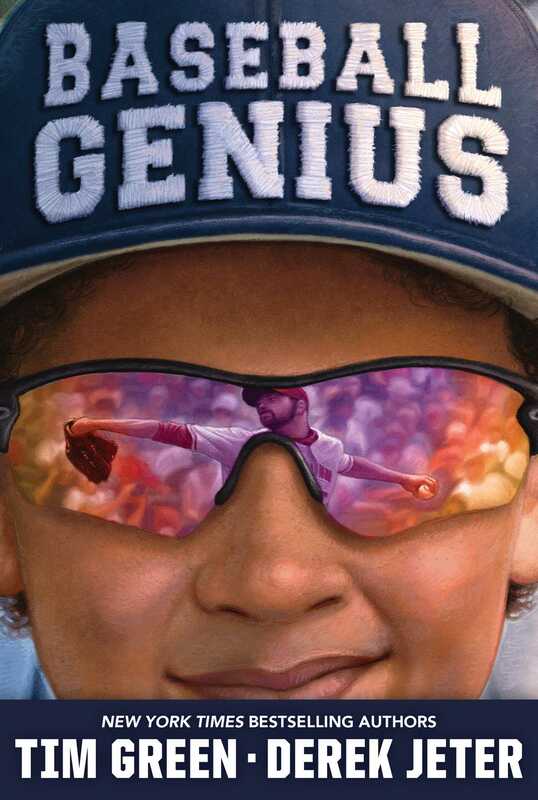 An average kid with an above average talent for predicting baseball pitches tries to help his favorite player out of a slump in this New York Times bestselling novel from authors Tim Green and Derek Jeter. Jalen DeLuca loves baseball. Unfortunately his dad can’t afford to keep him on the travel team. His dad runs a diner and makes enough to cover the bills, but there isn’t anything for extras. So Jalen decides to take matters into his own hands and he sneaks into the home of the New York Yankee’s star second baseman, James Yager, and steals a couple of balls from his personal batting cage. He knows that if he can sell them, he’ll be able to keep himself on the team. But like the best-laid plans—or in this case the worst!—Jalen’s scheme goes wrong when Yager catches him. But Jalen has a secret: his baseball genius. 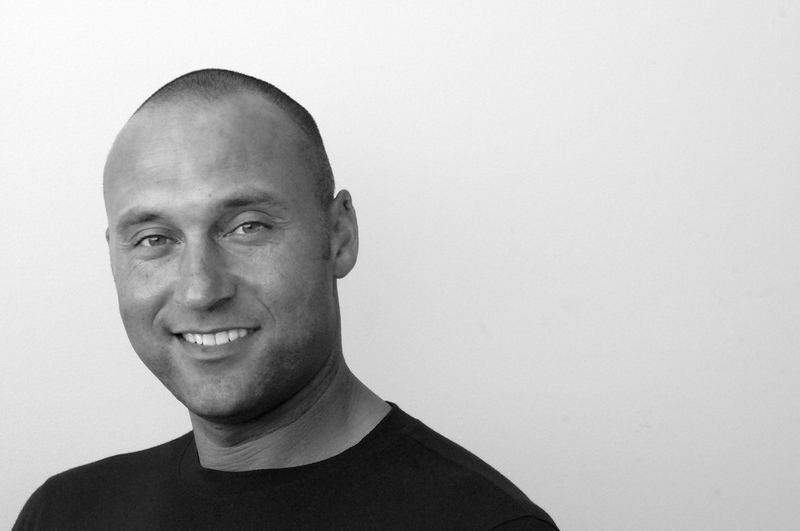 He can analyze and predict almost exactly what a pitcher is going to do with his next pitch. He can’t quite explain how he knows, he just knows. And after proving to Yager that he really can do this, using a televised game and predicting pitch after pitch with perfect accuracy, the two agree to a deal. Jalen will help Yager out of his batting slump and Yager won’t press charges. However, when he begins to suspect that the team’s general manager has his own agenda, Jalen’s going to need his friends and his unusual baseball talent to save not only Yager’s career, but his own good name. JALEN PEERED THROUGH THE WINDOWS of the Silver Liner Diner to make sure his father was still busy. A man in a black knit cap sat at the counter with a newspaper, a cup of coffee, and a piece of pie. In one booth a young, awkward-looking couple in fancy clothes scowled at each other, arguing in silence behind the glass. Jalen watched his father deliver two plates of his special stuffed calamari to the couple. While the Silver Liner was a diner, it was also much more: a place for authentic Italian food. While the two didn’t seem to go together, Jalen’s father somehow seemed to scratch out a living. When a car drove up with new customers, Jalen knew he had time to sneak off into the spring night. He snugged the empty backpack on his shoulders as he crossed the railroad tracks. Wind picked at his curly hair, and he paused at the wailing sound of a distant train. Beside the station stood a fast-food place, the lights on its big yellow-and-blue-and-purple sign extinguished for the night, since it closed after the last train arrived from New York. Jalen’s dad usually let his help go after dinnertime but squeezed a few extra dollars from the Silver Liner by staying open late, even after midnight, if he had any customers. Main Street was empty, but Jalen decided to take a detour and avoid the streetlamps. He jogged fifteen minutes to the other side of town, all uphill, to Rockton’s oldest and biggest estate. It had been built in 1782 by the great-great-grandfather (step-great-great-grandfather, she’d always point out) of one of his best friends, Cat Hewlett. Its heavy iron gates stood open, but he stopped to catch his breath. Fastened to one of the great stone columns by a thick chain was a bronze plaque letting visitors know they were about to enter Mount Tipton. Jalen wondered what name his home would go by if anyone cared to call it anything. Probably Broken Box or maybe Shabby Shack. He darted through the gates and into the shadows, avoiding the long, sweeping driveway and the lights buried in the grass alongside it. His friends were waiting for him at the corner of the stables. The rich smell of horse manure swirled deep in Jalen’s nose. Daniel Bellone didn’t even smell it anymore. He and his family lived above the horses, along with two other families who helped maintain Mount Tipton in all its original glory, trimming the gardens and grass, painting the buildings, scrubbing floors, and polishing the brass and silver when needed. Cat lived in the big house—as Daniel called it—but with her messy brown hair, scrubby jeans, and the sweatshirt she wore, she looked like she was the one who lived above the stables. “Ready?” she asked, snapping her gum and cutting the barn smell with a whiff of peppermint. She bumped fists with Jalen. Even Cat’s raspy voice and the smudge on her face couldn’t hide how pretty she was. “As I’ll ever be.” Jalen bumped Daniel’s fist, then turned to look down the hill, over the treetops, at the big brick house a quarter mile beyond Mount Tipton’s stone wall. The huge mansion sat on a hilltop of its own, bathed in soft yellow light. Jalen and Cat trudged off down the grassy slope, following Daniel, who knew the way through the tangle of riding trails better than anyone. They skirted the trout pond on a wide, grassy trail before plunging into the woods. The trees above swished in the wind. The beam of the flashlight on Cat’s phone flicked this way and that so that shadows of the thick tree trunks danced and jumped. When they reached the high stone wall marking Tipton’s boundary, Daniel pulled up. “You sure about this?” Cat asked Jalen, directing the light at their feet so that its glow lit the three friends’ faces. “I could . . .” Cat’s voice drifted off on the wind. She looked toward the estate, but they all knew that her stepfather gave her nothing. “Maybe . . .” Daniel looked slightly embarrassed. His fee for the travel baseball team had been paid. His spot on the Rockets was secured. Without words, Jalen tried to tell Daniel that it was okay. Daniel’s parents were two of the hardest-working people Jalen had ever seen. It wasn’t his fault that Jalen couldn’t afford the travel team fees, and Daniel could. “I know.” Jalen patted his pants pocket and the pork chop bones wrapped in plastic tucked inside. He bit his lip and started to climb the rock wall, inserting the toes of his sneakers into the cracks. When he reached the top of the ten-foot wall, he straddled the flat fieldstones and looked down at his friends below. “Maybe we should go with you?” Daniel’s face was hidden in the gloom, and his whisper barely rose above the trees. Cat began to climb the wall. “Thanks.” Jalen let himself down a few feet before simply springing away from the wall and dropping to the ground. He didn’t look back because he didn’t want to chicken out. He plunged into the darkness of the trees, waiting for his eyes to adjust, stumbling through the open woods, his eyes fixed on the lights of the huge brick mansion owned by a New York Yankees star. Jalen’s stomach felt empty and cold and fragile, like a fist in wintertime without a glove. It wasn’t just the darkness. It wasn’t just being completely alone. It wasn’t just the danger. It was that—despite all the rules Jalen had bent in his life—he’d never taken anything that didn’t belong to him. Never stolen so much as a candy bar. 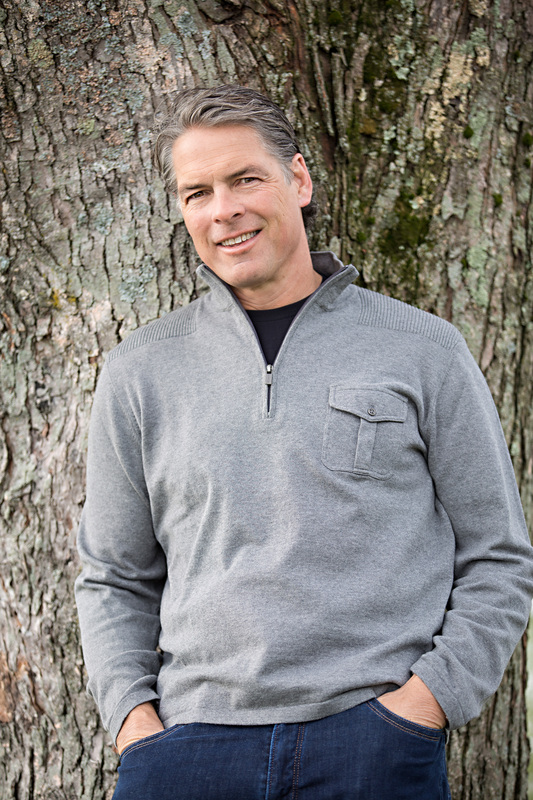 Tim Green was a NFL first-round draft pick and a star defensive player for eight years with the Atlanta Falcons. He is the New York Times bestselling author of dozens of books for adults and kids including The Dark Side of the Game, The Fifth Angel, Exact Revenge, Football Genius, Football Hero, Kid Owner, and Left Out. Tim graduated co-valedictorian with a degree in English literature from Syracuse University before earning a law degree with honors. He has been an NFL commentator for FOX Sports and NPR. Tim and his family live in upstate New York.